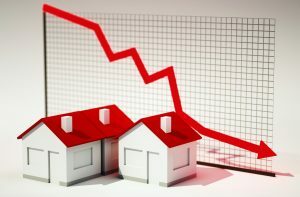 U.S. mortgage rates declined again, and have ended the year lower, according to Freddie Mac. The 30-year fixed mortgage averaged 4.55 percent for the week ending Dec. 27, down from 4.62 percent the previous week. A year ago, mortgage rates stood at 3.99 percent. Low mortgage rates had been helping propel U.S. home sales and the refinance market. Sam Khater, Freddie Mac’s chief economist, said the response to the recent decline in mortgage rates is being felt in the housing market. Favorable rates also had been helping Dayton-area home sales. After breaking records last year, Miami Valley home sales remain strong in 2018. There were 1,260 sales of single-family homes and condominiums last month, a 3 percent increase from November 2017, according to a report from Dayton Realtors. The median home price last month was $138,500, another increase of 3 percent, with the average price up 8 percent from last year at nearly $166,000. The historic low for 30-year rates was 3.31 percent in November 2012.